﻿ Digital marketing courses and training services in Mumbai,India,Thane,USA. Digital marketing and online PR is next on line after the completion of Advanced SEO. Digital marketing and online PR is the only course available comprising the latest trends and methodologies for marketers to accomplish brand recognition. The methodology associated with this program will allow professionals to learn how to engage customers online and gather as much lead possible. Our Digital marketing and online PR is a six months duration course. This course includes SEO, SMO and other online marketing techniques greatly used these days. The main objective of this course is to enable professionals to create and implement potential digital marketing strategies. The Digital marketing and online PR is designed to undoubtedly pay off students and marketing professionals with a secure career path. Digital marketing and online PR course is designed for students, marketing managers, web masters, communication specialists, IT managers and personnel. The digital marketing and online PR course will enable these people to get in-depth understanding of the tools and techniques of various marketing strategies that can be applied online. We connect our customers with digital technologies through our Digital Marketing service in Mumbai, India. 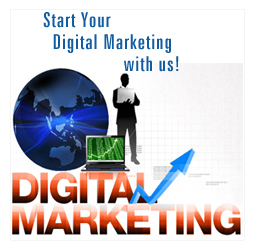 We apply highly effective digital marketing strategy to gain tremendous exposure for any business online. The digital marketing service that we offer is considered the most productive form of advertising at present. We are equipped with qualified professional who deliver better result for our customers. What is Key Performance Indicators-KPIs? How to use web analytics data? How to set up an effective Google Adwords Campaign? How to write effective Adwords Ad copy? How to set up a locally targeted campaign? How to see what the competition is bidding on? How are consumers using mobile marketing? How to develop an online press release? Universal Computer Art is the industry body responsible for raising the digital economy in /mumbai through training, certification, research and championing best practices in online marketing. Through our member network we have partnered with a broad range of organizations who have agreed to interview interns for work placement portion of this program will provide students with the opporunity to real bisiness environments. The program will provide students with tools to implement a digital marketing strategy for thair host company. The internship will involve researching a digital marketing strategy for their host company. The internship will involve researching a digital marketing approach, putting an implementation and management plan in place and implementing across the various channels for the business.